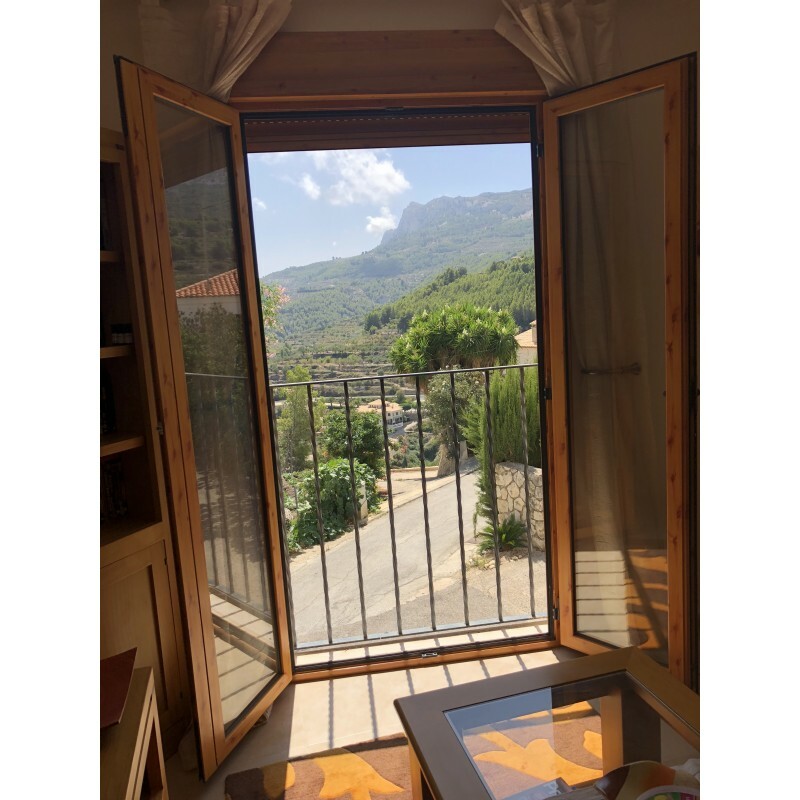 This property is a 1st Floor Apartment with amazing mountain and sea views. The property includes 2 bedrooms along with 2 bathrooms (1 ensuite). 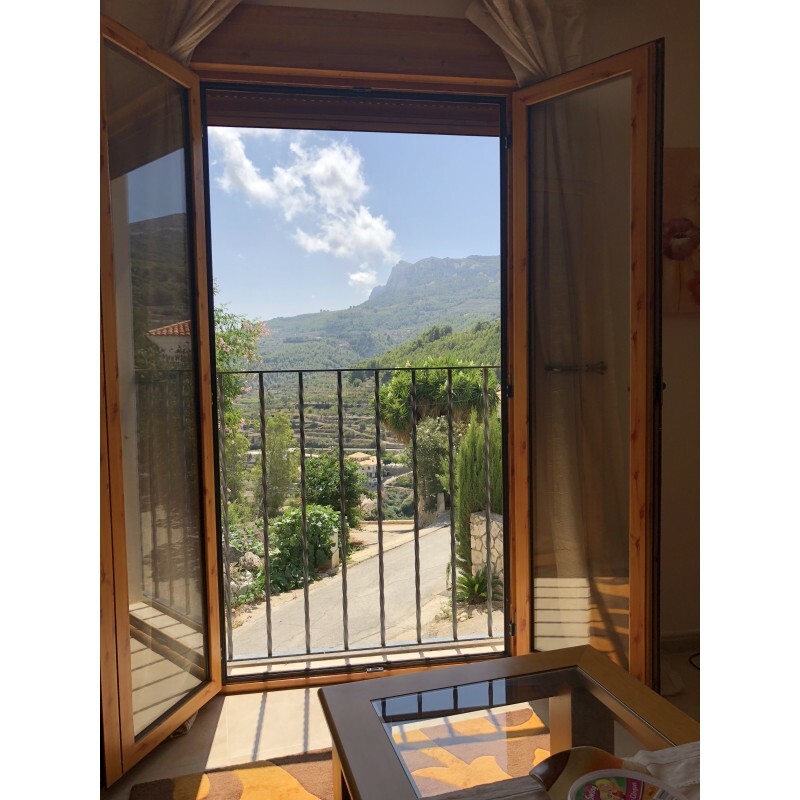 There is large communal balcony with amazing views of Guadalest, Mountains and Sea. The Apartment features an open plan lounge, dining and living room. Views of the surrounding Sea and Mountain areas can be seen from the property. Parking options from the property include both street parking and off street parking along with this there is also a parking garage available. On average the temperature ranges between 17.0 °C (63 °F) and 6.7 °C (44 °F) in January, and between 30.8 °C (87 °F) and 21.5 °C (71 °F) in August, with an average annual temperature of 18.3 °C (65 °F). Daily variations in temperature are generally small because of the stabilising influence of the sea, although occasional periods of westerly wind can produce temperature changes of 15 °C (27 °F) or more. Seasonal variations in temperature are also relatively small, meaning that winters are mild and summers are hot. A superb opportunity for those interested in owning property in this superb area within Alicante Spain. Including nearby municipalities, the Alicante conurbation had 452,462 residents. The population of the metropolitan area was 757,085 as of 2014 estimates, ranking as the eighth-largest metropolitan area of Spain.